For me happiness is an environment that is free of pollution creating clean air, water and fertile earth. Materials I used are hand dyed silk and cotton. I was inspired by a design I saw in Gilda Baron’s book “The Art of Embroidered Flowers”. 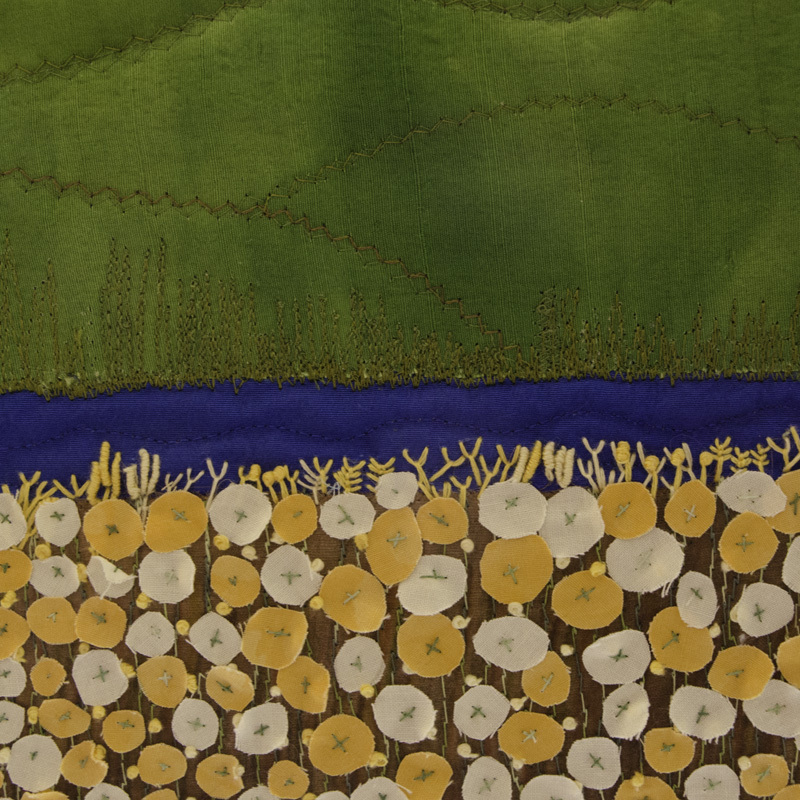 The field of flowers are small discs of yellow fabric caught down by a cross stitch in the center. Other suggestions of vegetation are hand embroidered with two to three strands of embroidery thread and the birds are fly stitch. There is a great tranquility in this piece, lovely! 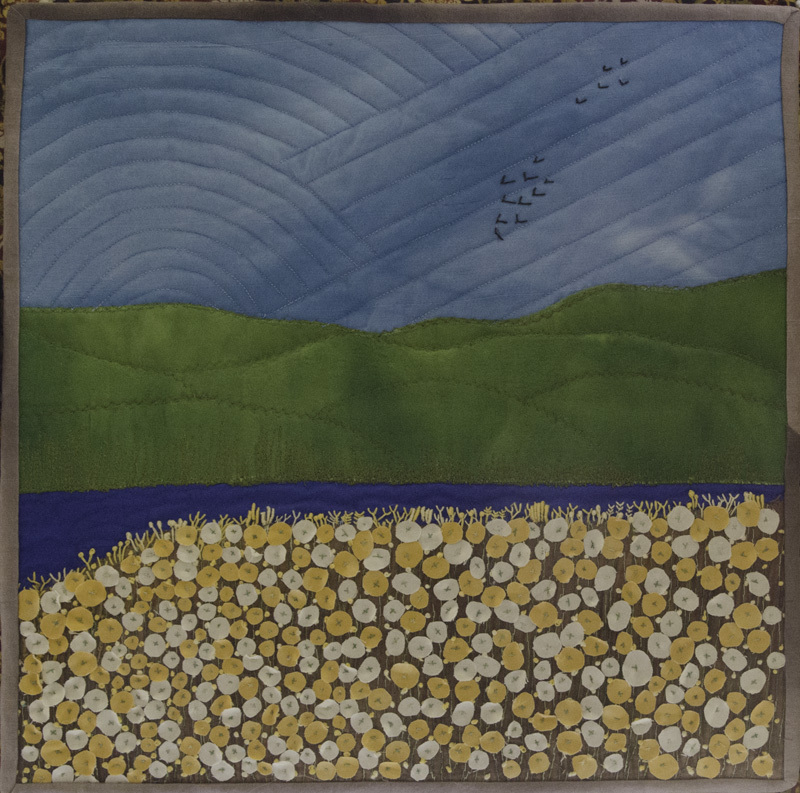 I love your field of flowers, and the feeling of open space this piece evokes. Lovely quilt with a beautiful meadow of flowers. 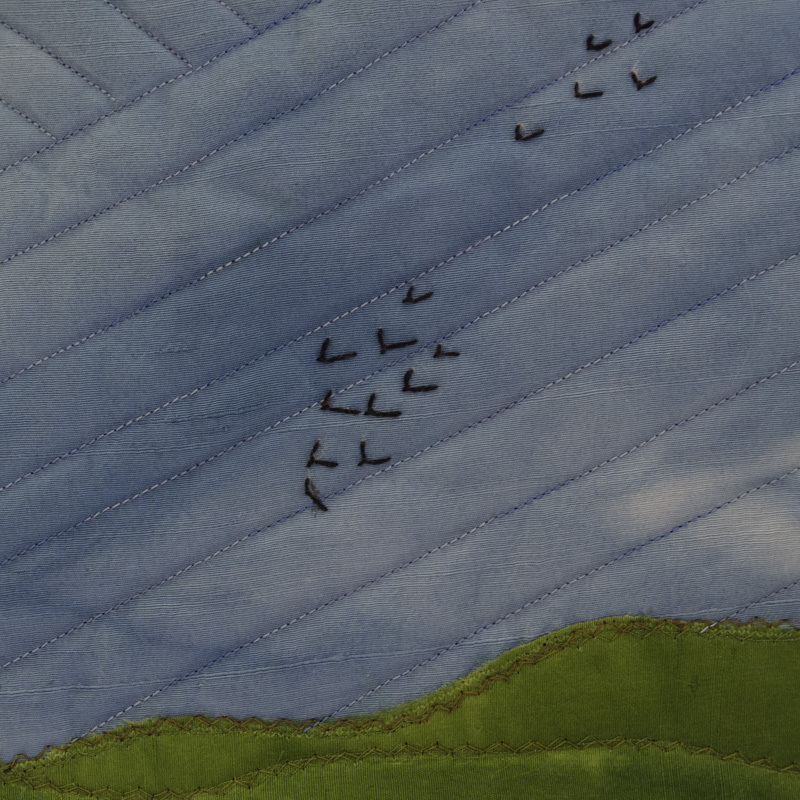 I have always a problem quilting the sky, this is so nice!